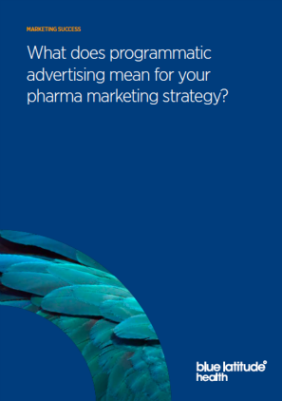 Measuring marketing activity is proving to be a major challenge in pharma. Here, Senior Consultant Paul Townley-Jones explores the meaning of success and gives his tips for measuring efficiency and effectiveness, along with the formula for calculating profit and ROI. Return on investment (ROI) and measuring financial payback is one of my favourite topics and one that has been identified as a major hurdle for pharma marketers, behind legal and regulatory issues. Although many marketers know that proving ROI is a great way to secure budget through proof of your marketing prowess, understanding what to measure to show both efficiency and effectiveness can seem daunting. Here, I will explore marketing effectiveness in detail, revealing practical tools and tips for demonstrating the success of your campaigns. I hear the letters ‘R.O.I.’ thrown around a lot these days and in one way that’s a good thing. However, despite all this talk, I’m a little bewildered as to what is being classed as marketing success. For example, which do you think is the better campaign? B) 250% (or 2.5:1) ROI. Obviously, Campaign B looks more successful but what if I give you more data? B) 250% ROI, €250,000 net profit. After seeing the contribution to the business, it is clear campaign A was more successful. Although it may not have been as efficient as Campaign B, it was more effective. Campaign A contributed more profit to the business, which will have a greater impact on the company’s share price. Although profit is often the ultimate motive for companies, research commissioned by the Institute of Practitioners in Advertising (IPA) suggests less than 20% of marketing activity is evaluated in terms of financial payback. While it is nice to hear marketers talk about ROI and put in place the processes to measure it, we are ultimately here to deliver profit. If you are too fixated on delivering ROI, or return on marketing investment (ROMI) as it should technically be referred to in marketing, you will only end up creating campaigns that use efficient channels and tactics rather than delivering the most profit. In a way, I can’t help but agree with Sarah. Not everyone in life measures their success from the money they earn. For many people, success is family, friends, love, happiness, and fulfillment. So, while it is important to make a profit, delivering a return for investors is not always the be-all and end-all. ROMI and profit may simply act as metrics, while measures for success are more aligned with your company or brand vision. The first step in measuring effectiveness is often the most difficult – calculating the sales effect. This is the incremental sales revenue generated by the marketing activity and can be measured in three ways. An econometrician can help here by doing some econometric modeling. A popular approach is the test and control method. This involves comparing the uplift in sales from an area or market exposed to the marketing activity and a similar area or market that wasn’t. Alternatively, you can extrapolate from a trend but you would need a relatively consistent trend to be showing (i.e. practically 0% revenue growth for the 6 months prior) to use this method. Is there an ROI on KOLs? What does good marketing look like in 2016?